The Variable Neutral Density 77mm Filter mounts onto any lens with 77mm front filter threading and allows you to block incoming light from 1.3-6 stops. Darkening your scene is useful when wanting to shoot at very wide apertures or slow shutter speeds in bright lighting conditions. A typical scenario of when a variable neutral density filter is essential is when wanting to shoot long exposures of waterfalls to create a smooth, silky effect in broad daylight. With a variable ND filter, you can slow your shutter way down without blowing out your exposure. ND filters give you more flexibility over your aperture and ISO settings in bright light as well. This filter is created with special glass that maintains clarity and color fidelity. It is multi-coated to prevent ghosting and reflections, making it useful for water scenes. The front of the filter provides 86mm threading, which is wider than the 77mm mount threading to help prevent vignetting when using wider lenses. 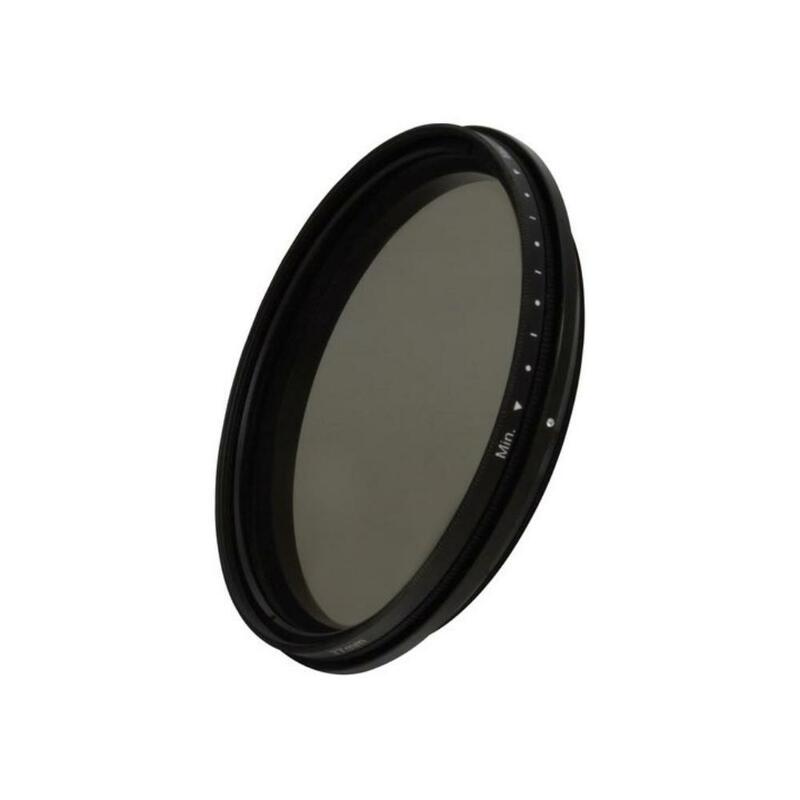 A step-down ring (not included) could be used for stacking other 77mm filters. Convenient markings on the side of the filter show all positions from minimum to maximum light control.